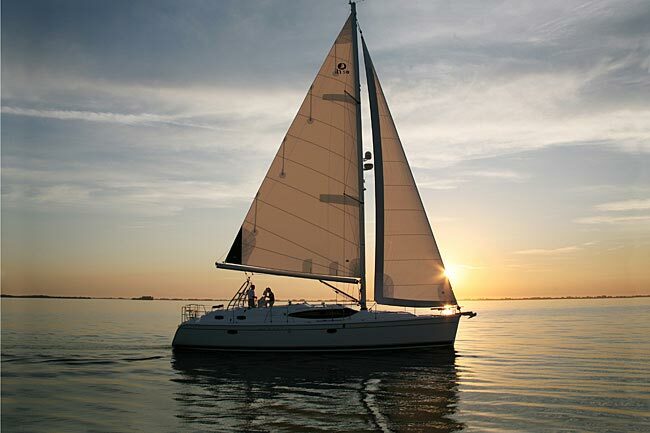 The Marlow-Hunter 50 Center Cockpit is a “breakthrough” boat that defines a safe, comfortable and exceptionally easy-to-sail center cockpit cruiser, which allows for short-handed applications. It combines all the comforts of a center cockpit cruiser with an exciting sporty look, performance and great value in a long-range package. The Marlow-Hunter 50 Center Cockpit includes multiple ease of sailing features that have become Hunter trademarks, such as the backstayless B&R rig, furling mast and cockpit traveler arch. The sporty sleek lines, wrap-around windshield and low profile make it look great! The Marlow-Hunter 50 Center Cockpit delivers a spectacular master stateroom. This cabin pampers its guests with an in suite head, an island berth larger than a queen with innerspring mattress, twin nightstands, a dresser/desk, a vanity table with mirror, walk in closet, clothing chest, lockers and storage galore. The Marlow-Hunter 50 Center Cockpit does not neglect any part of the boat with a gourmet galley, full navigation station, forward VIP stateroom, second head, airy salon, and high end electronics fill out this beautiful cruiser. It’s not a dream. 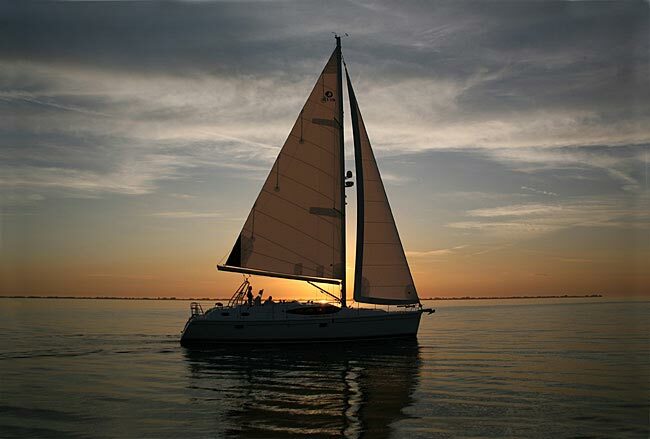 You can sail off into the sunset on this beauty for $466,442.